One of the biggest frustrations we hear from pet parents has to do with their dogs behavior on the leash. We always try to remind our readers that a jaunt around the block is our dogs only interaction with the outside world on a given day. This wondrous place is filled with sights, smells and sounds calling to them in every direction. Just imagine how difficult it must be to contain all their enthusiasm! 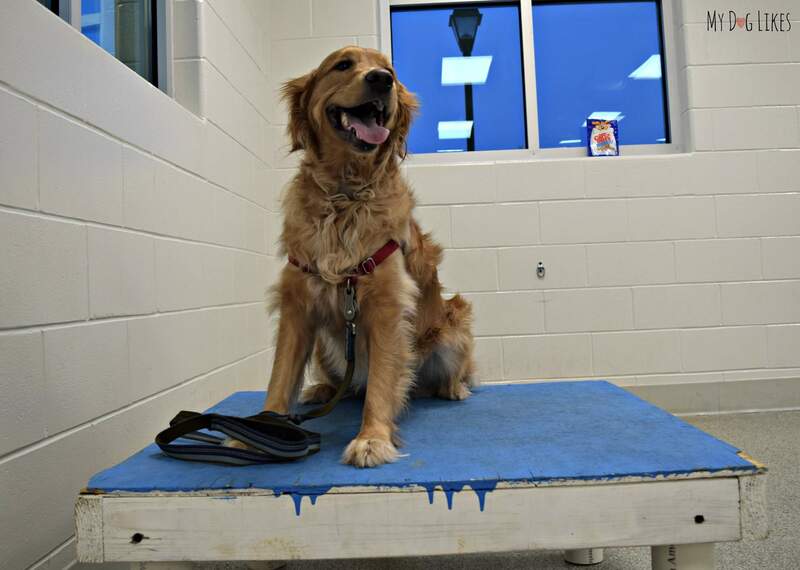 Is your dog having trouble on the leash? We want to help make walking with your dog a better experience for both of you. Something that you look forward to every day – instead of dread! 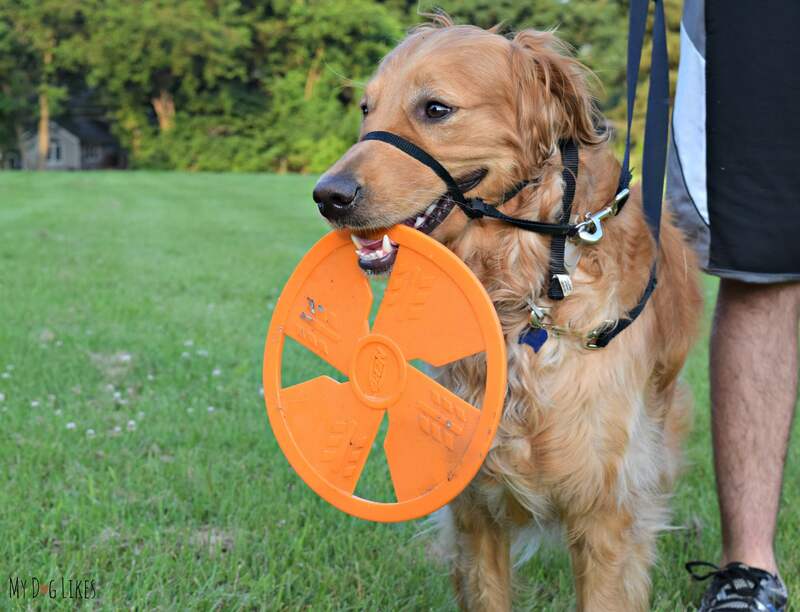 Since there are already some great guides on the subject of loose leash walking, we thought we would instead focus on our favorite tools to help get the job done. 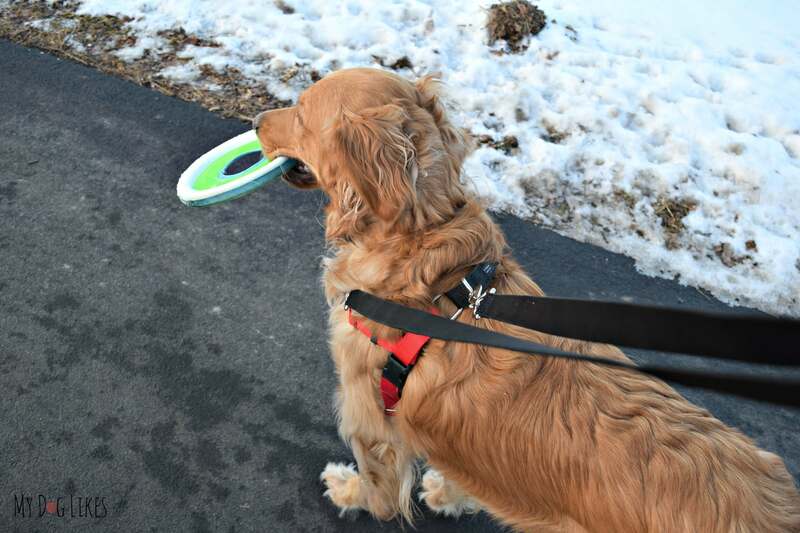 Paired with plenty of patience, the following tools will make walking a more pleasant experience for both you and your pup! Pulling on a leash is certainly annoying, but did you know that when a dog is attached to a neck collar the behavior can be dangerous as well? Many dogs will quite literally choke themselves in the process of trying to get ahead. All that coughing and retching is just as harmful as it sounds – with injuries such as bruising and spinal injuries not entirely uncommon. If your dog is a big puller, the first thing you will want to try is a harness to fix the problem. There are many different styles available but typically those with a chest attachment work best for dogs with pulling issues. Chest attached harnesses cause your dog to turn slightly when they pull – in some cases leading them to stop the behavior entirely. This differs from back attach harnesses which actually seem to increase the drive to pull in some dogs! 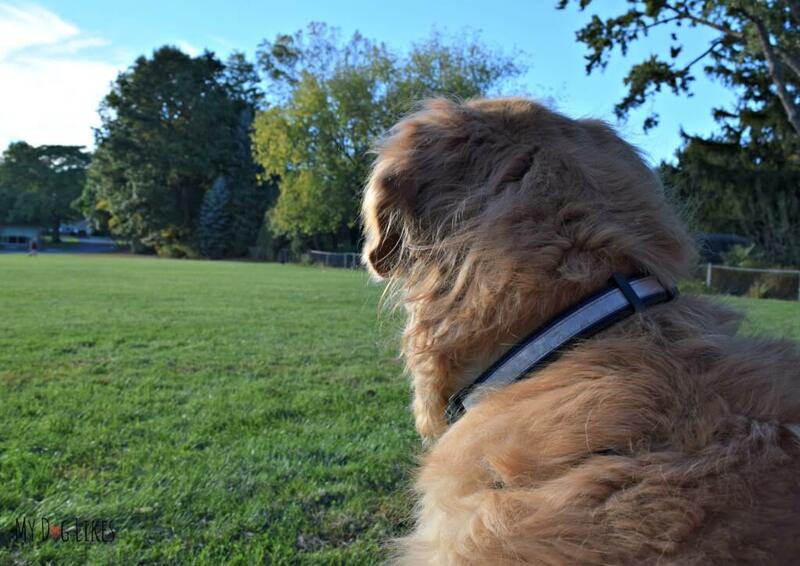 We highly recommend the EZ Harness from PetSafe which we have been using for several years. Not only does it work great, but it is durable and affordable as well. NOTE: Despite what you may have heard, prong or choke collars are never a good idea! Simply put, the quickest solution for a pulling dog. 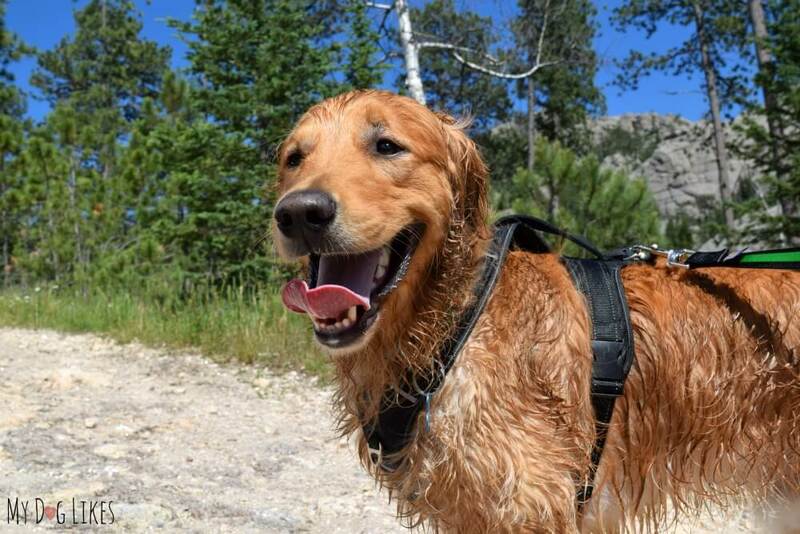 If a front mount harness doesn’t work, the Gentle Leader is something that you need to try. The gentle leader is a uniquely designed head harness that attaches around the snout and behind the back of the head. As your dog will quickly learn, any sudden jerk forward simply turns their head back to face you – not surging ahead as they planned. Don’t worry, it doesn’t hurt! This system is similar to the way other large mammals like horses are controlled and led by humans. 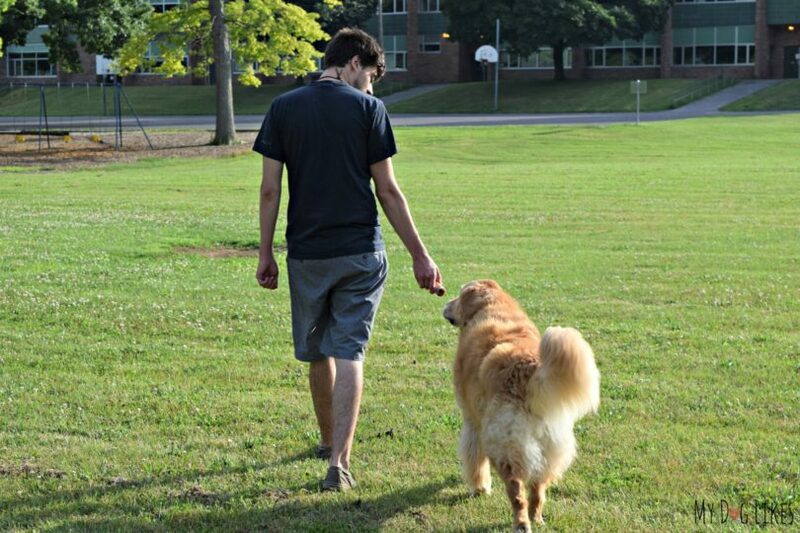 For many dogs, the gentle leader is a near instant fix for walking problems. When your dog realizes that a behavior does not yield the result they are looking for, they will typically stop. We started using this for Charlie as an excitable adolescent and it worked wonders for his leash skills! We no longer need it for daily walks but it is still great to have on hand when we are taking him through crowded areas like festivals or parades. This thing is nothing short of magic. 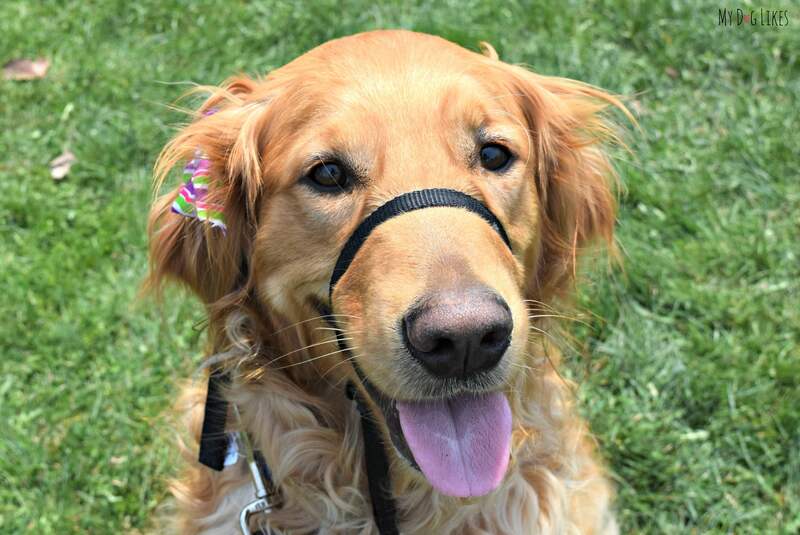 The We Leash introduces a completely new way of walking your dog, based upon Jennifer Arnold’s, Bond-Based Approach. 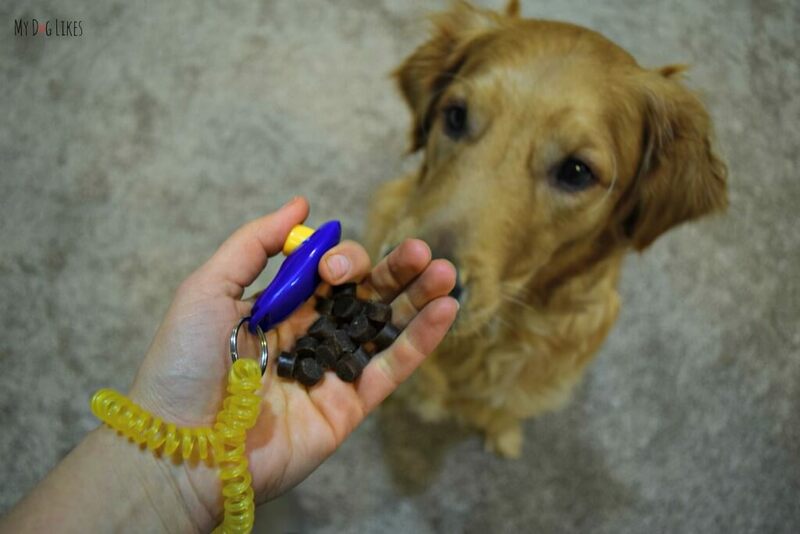 This leash has 2 sections – 1 which you hold and connects to your dogs collar, and a slightly longer bungy piece that attached to a toy which your dog carries. This design allows your dog to walk without the sensation of being restricted, and even makes them feel like they are walking you! It has worked like a charm for us, and is now our go to leash in all situations! The We Leash comes with several different (detachable) toy options and can even be snapped out of the way when not needed. Focus is the most important element of training and the easiest path to a focused dog is a high value treat. 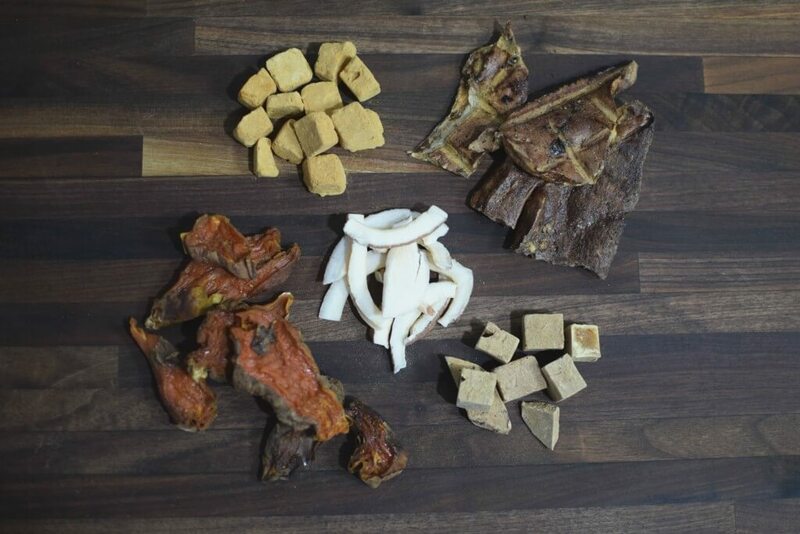 As we mentioned above, distractions abound in the outdoors so you will want to make sure to select something that is equally enticing for your dog. Typically this means something with a strong scent that can grab their attention. Click here for an in depth look at our favorite dog training treats! 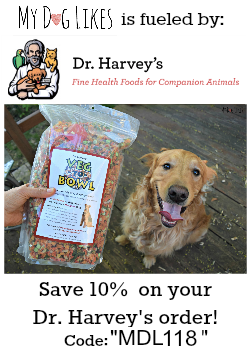 I wanted to take a moment to quickly mention another great tool that falls into this category but is just a little different than standard dog treats. Treat sticks are tubes of flavored liquid or gel that are designed to be licked instead of eaten like a standard treat. 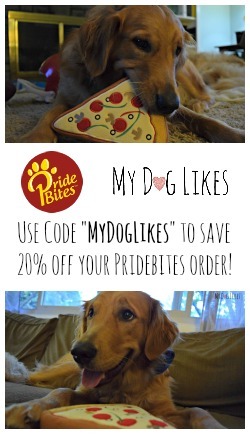 Because of this, they are a great way to hold a dogs attention while keeping the calories ingested low. Our favorite is called Leanlix and comes in a click up container – kind of like a tube of lip balm. 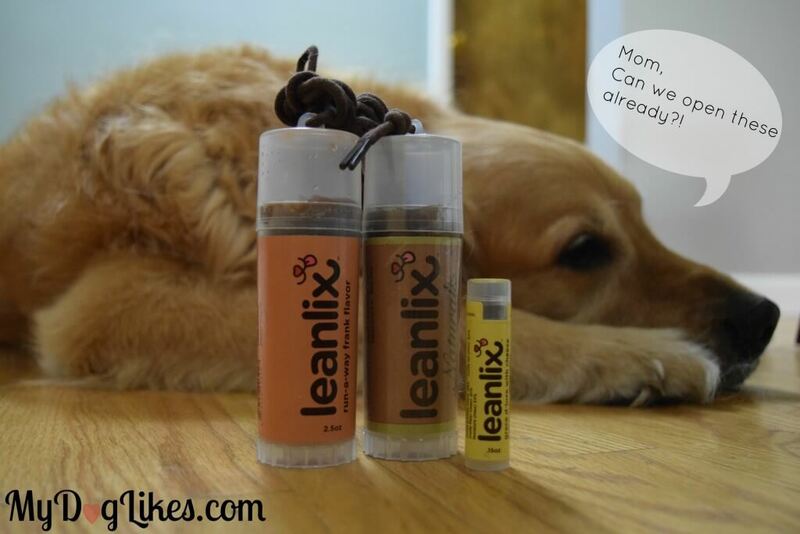 Just push out a little bit at a time and the constant source of flavor will keep your dog glued to your side! 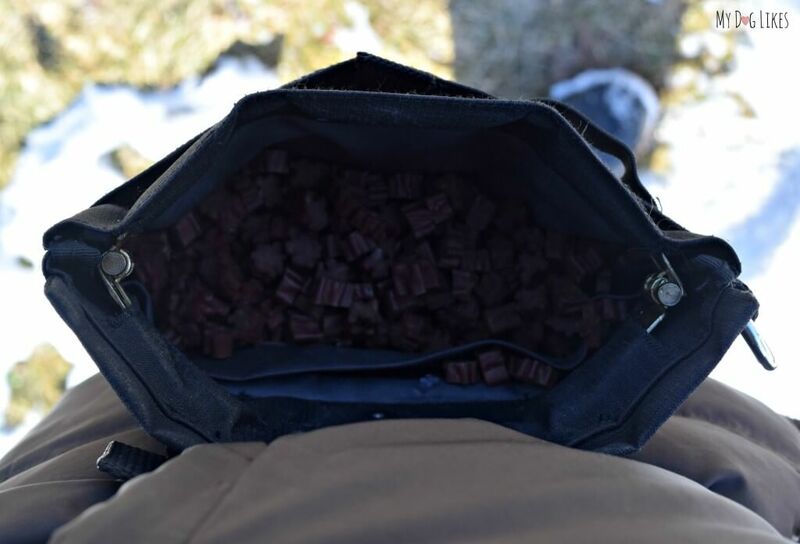 Now that you have selected a quality dog treat, having something to put them in is a HUGE help. Fumbling around with a treat bag is the last thing you need while training! 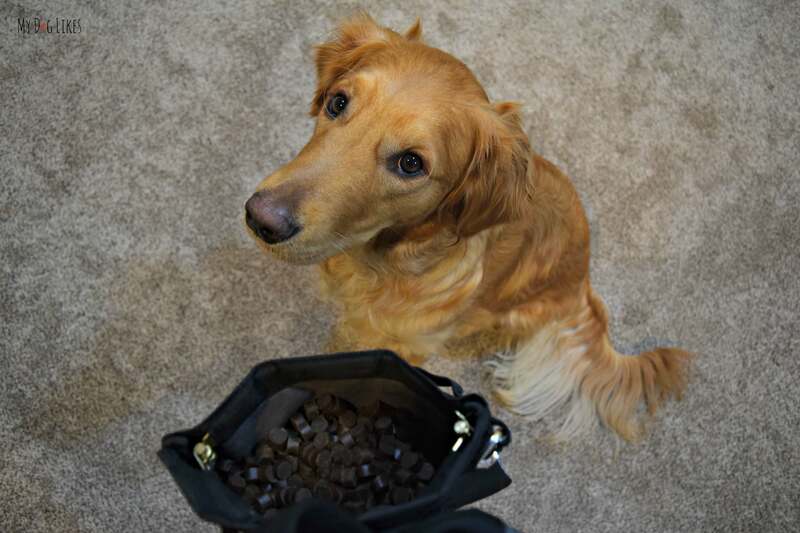 Not only does a treat pouch help to avoid accidental spills, but it keeps the treats very accessible right at the hip. We highly recommend this one from PetSafe which has a built-in hinge mechanism to keep it opened or closed. Another useful tool in redirecting a dogs attention is a clicker. This small handheld device delivers a clicking sound with the press of a button. While the sound is designed to grab your dogs attention, it is typically paired with a treat to reward a particular behavior. Over time your dog will learn to associate the clicking sound itself as a positive auditory clue. What has worked well to sharpen your dogs leash walking skills? We are not big on loose leash walking. I do pretty well, but Bailie is far too busy, and Mom doesn’t really mind. Sometimes we bring treats on our walks to help out. We tried the lick sticks, but Mom would leave them sitting out and cat bro Bert would bite into them creating a huge mess. We don’t know how he does it without breaking his teeth! Good tips, though for those who really want to get it down. I, too, am having a problem with a pup that thinks she’s the leader! My dog trainer also suggested. the Gentle Leader type training. If your dog pulls, the Gentle Leader will pull toward the side similar to the chest-lead harness.